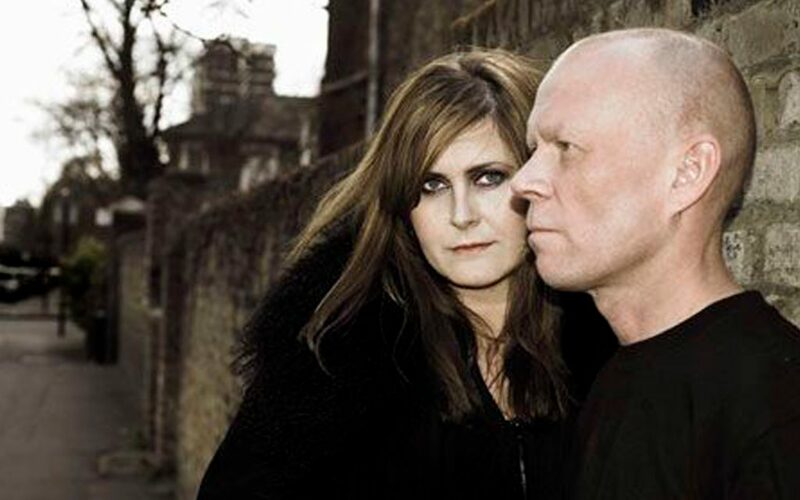 Hear Yazoo at their best and their decision to part seems more puzzling and more regrettable than ever. 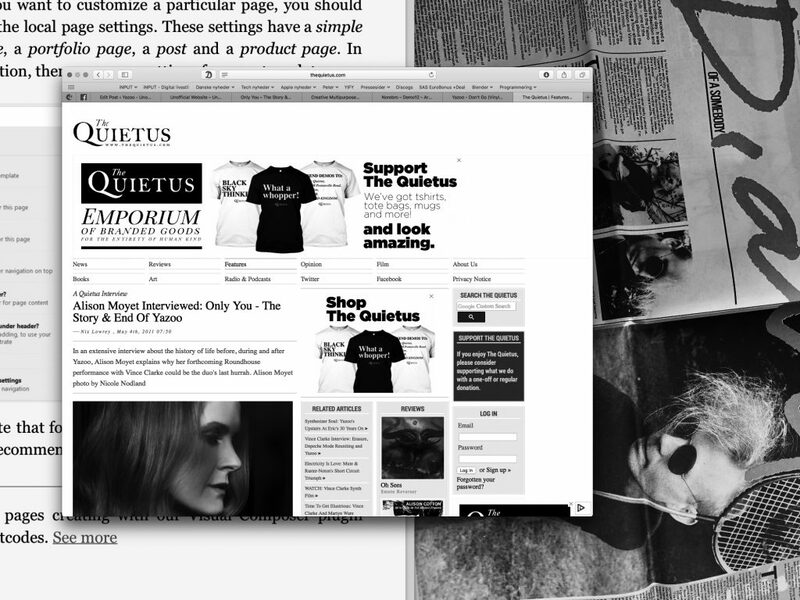 Articles / Both sides up! Review of ‘You And Me Both’ from New Musical Express, July 1983. Much has been made of the inevitability of the split – the disparate backgrounds, the marriage of convenience – but all the best partnerships have been made of two contrasting halves: Laurel and Hardy, Sylvester and Tweety Pie, sweet and sour. Yazoo’s wasn’t a marriage of convenience so much as a marriage that had the germ of inspired genius. By playing off each other to cancel out the weaknesses of their respective pasts (infantile electro pop and cruddy dead-end R & B), Vince and Alf provided a brash antidote to the shallow trifles of the 80’s hit parade. Each needs the other to keep them in line, that much is obvious from the stale tracks on ‘You And Me Both’. When either breaks ranks away from the scrupulously fashioned clarity and cohesion that is the bedrock of their best work, their weaknesses – Alf peddling drab melancholy, Vince being the whacky, over-cynical workshop tactician – come to the fore. But, rest easy, it only happens twice. Well over half this record puts pop’s foremost maverick duo in a superlative master class where finely detailed atmospherics are matched to unbridled sensuality and compassion to make it the prime pop music of it’s time. Taking a cue from ‘Winter Kills’ on their debut album and the sublime opening ‘Nobody’s Diary’, Yazoo move into areas a good deal darker than the sparkling assertions of ‘Don’t Go’ and ‘Feel Like Love’. There’s an undertow of sadness, of wounded love, spurned love, lost love; the backdrop is frozen glances in the moonlight rather than warm clenches on the dance floor and it works a treat. There are also a few songs that explicitly tackle the dilemma of a country in decline. Very much the product of Thatcher’s England in winter, ‘You And Me Both’ isn’t exactly a carefree summer record. But it’s a brave, ambitious work which carries the electro ditherings of the last few years into new areas. There is a deftness of construction in Vince Clarke’s shimmering ‘Mr Blue’, a genuinely heartbreaking melody which has that bristling shiver down the spine which hallmarks classic pop from all eras past. It’s a beautiful crisp, evocative piece pinpointing the real outcome of the last four years of harsh political strictures. 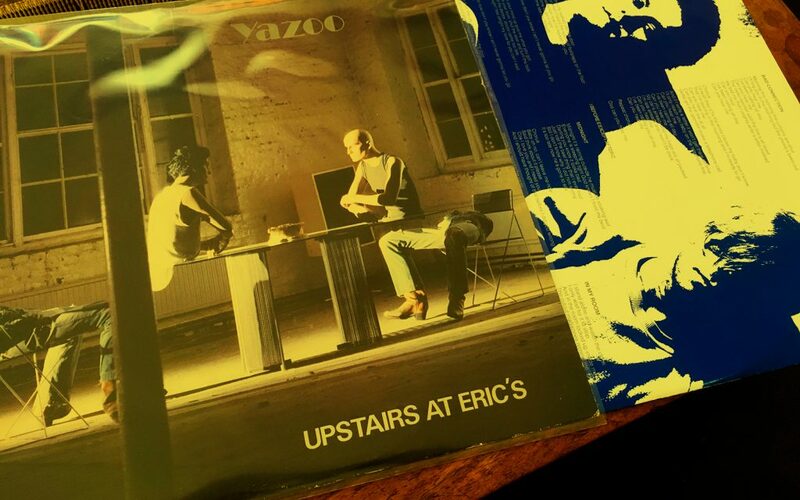 As on ‘Upstairs At Eric’s’, none of the songs here are collaborations – Vince Clarke writes five songs and Alison writes the remaining six. Two of Alf’s songs, the sharp and spunky ‘Knocking For A Good Time’ and the bold, beefy ‘Sweet Thing’, assert her public image as the archetypical big mama blues shouter supplanted into the white British pop world of the ’80s; and fine solid tracks they are. Elsewhere, both her songs and Clarke’s add new dimensions to that image. If Clarke’s golden moment is the aforementioned ‘Mr Blue’ hers is undoubtedly the stark moody magnificence of ‘Ode To Boy’. A tale of teenage infatuation, with Clarke’s judicious accompaniment giving the tremors of adolescent sexual/emotional awakening an aura of tremendous suspense. Clarke has come a long way from the sugar-lined felicitous ditties he wrote for Depeche Mode. His work here has the mark of true craftsmanship – the haunting emotive backdrop of ‘Mr Blue’, the rich, layered arrangement of ‘Nobody’s Diary’ and the smart dance track of ‘Knocking For A Good Time’. 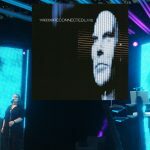 Additionally he launches a hitherto unrealised political vengeance with ‘Unmarked’, a song that tears apart the militarism which grew from army public information films on daytime TV to the horror of Goose Green. On ‘Happy People’ he takes over vocal chores with a deadpan cynical scathing attack on ‘the silent majority’: “We never give opinions and we never state views / After all you can’t be sure that what we say is true”. The latter is quite a hoot and, in the wake of the recent landslide, rings true. But the former, while obviously sincere, is overstressed and overcynical, bringing a shrill note to the classy material that surrounds it, because even the personal songs have an uncanny knack of adding to the album’s universal themes. Still, undiminished by a few minor quibbles and despite its posthumous release ‘You And Me Both’ is a record of loss, yearning, warmth, anger and defiance, and it stands as one of 1983’s major achievements. Gaven Martin (New Musical Express, July 9th 1983).